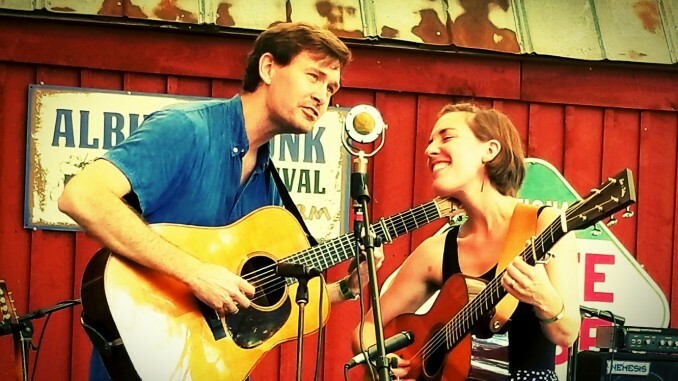 As the end of 2018 approaches, we look forward to our next tour which will be with the superlative duo The Honey Dewdrops – hailing from Virginia and now based in Baltimore. 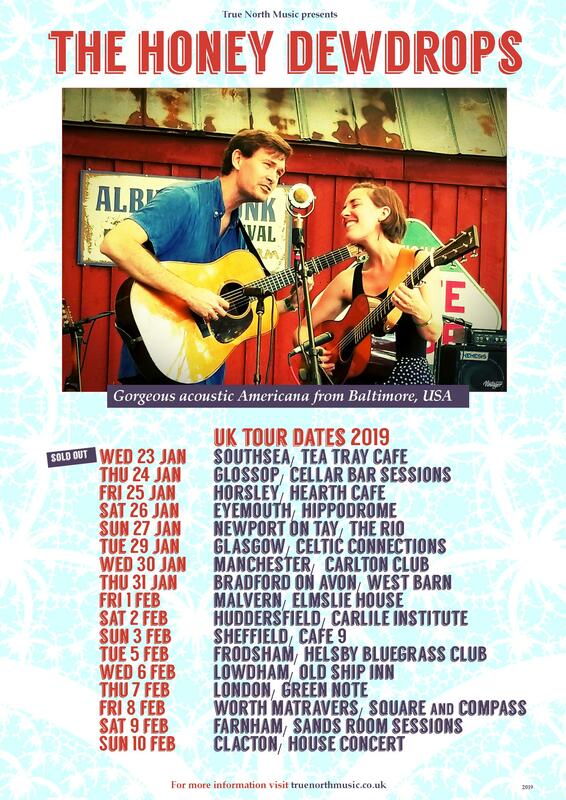 Laura Wortman and Kagey Parrish have been touring full time for 10 years throughout North America, but we are delighted to be bringing them over in early 2019 for their debut tour of the UK! I first became aware of the Dewdrops thanks to Front Country’s cover of their song One Kind Word, and our pals in excellent Cheshire trio Cousin Pearl also cover some of their material. It was fantastic to finally meet Laura and Kagey at IBMA in Raleigh, North Carolina this September. I was fortunate to take in several of their showcase performances there, which confirmed me in my view that The Honey Dewdrops are very special indeed! With gorgeous vocal harmonies and a versatile musical set-up that includes clawhammer banjo, mandolin, harmonica and guitars, the duo treats listeners to a raft of memorable, beautifully performed songs. Although undeniably steeped in old-time music, bluegrass and country, The Honey Dewdrops manage to gracefully encompass both traditional and modern in their sound. They have released four albums to date with their new recording due for release in early 2019. With their live performances often described as “mesmerising” and “evocative” we can’t wait to introduce The Honey Dewdrops to UK audiences! Check out the tour dates poster below, full details and ticket links coming soon! The Slocan Ramblers – autumn 2018 UK tour dates out now!